Maria Novella begins her professional career with the Kibbutz Contemporary Dance Company. In addition to being exposed to Gaga technique, it has influenced her a great deal resulting in learning, creating, discovering and exploring herself further as a dancer and as an artist and also getting close to the highest companies such as Batsheva Dance Company/ ensemble, L-E-V Sharon Eyal, Imbal Pinto & Avshalom Pollok. She is closely working at Cia. Sonia Rodriguez Hernandez. 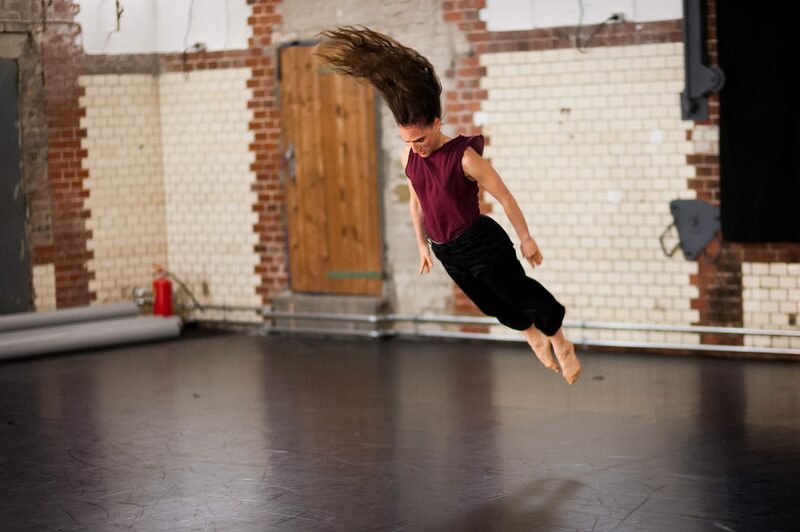 Based in Berlin she has been performing, collaborating and teaching also with Shape Production, ‘Suspiria’ post production – Videa, Tanzfabrik Berlin, Fabrik Potsdam. As choreographer she has been invited with a solo project to several festivals like Gdansk Festival Tanca Poland, DanceDaysChania Greece, Masdanza Spain. She is currently working as a performer at ‘The Cleaner’ Marina Abramovich, at Palazzo Strozzi in Florence. The class aims to discover power inside extremity, finding a balance between technique and our personal approach to movement. Trusting our bodies we discover a new range of possibilities either inside structured combinations or improvisation. Focussing on specific leading points, such as our hands, we will analyze different ways to move in and out of the floor under a tridimensional perspective. Dancers will be asked to develop high energy, physicality, coordination and a deep sense of space and rhythm within the group. Fun is included!